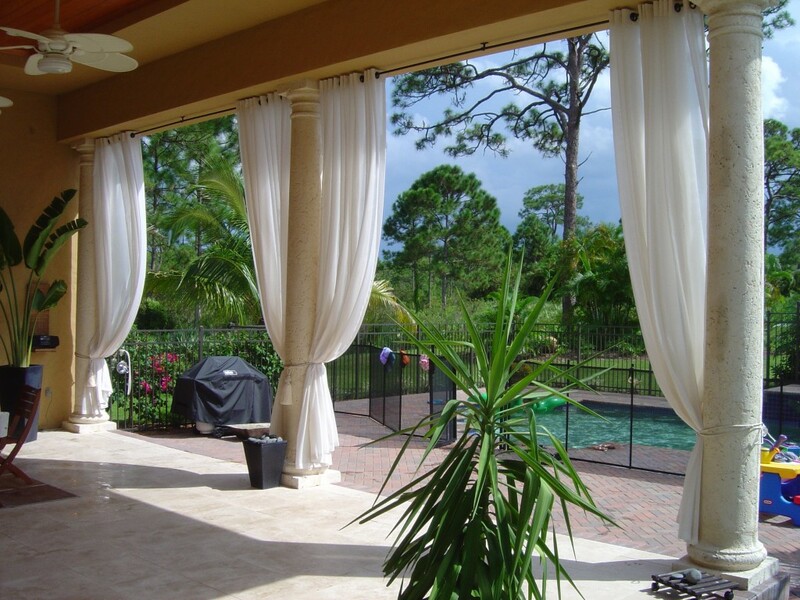 Zebra shades have been gaining popularity on the Treasure Coast as well as with homeowners in the Miami area. Installing zebra shades in your windows will give you the option of room darkening, light filtering, or privacy depending on the time of day or preference. We offer many different patterns with this shade system from the Neo-Lux catalog. Call us today to get a free estimate! 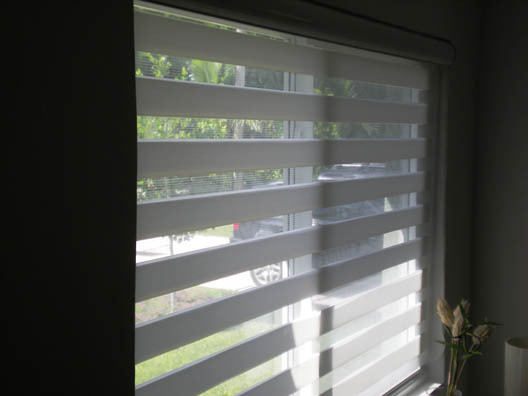 Now serving Vero Beach, Port St. Lucie and Stuart in addition to our window blind customers in Miami, FL. 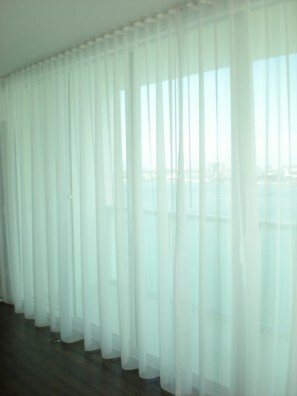 If you live in a condo in Miami, most likely Brown Design has installed blackout roller shades in your building! Our installers have been very busy putting in motorized blackout shades to keep the residents of Miami and Miami Beach safe from that annoying morning sun! We use Somfy motors to insure the best quality operation and durability for our solar shades too. 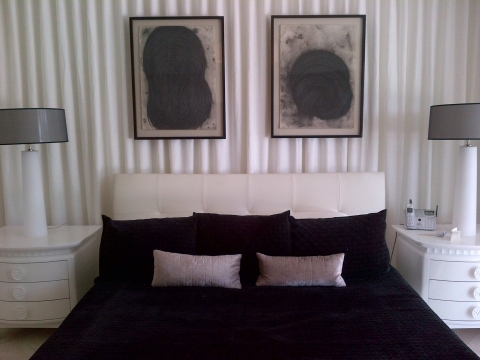 Pairing blackout shades with polyester or linen sheers, proffessionaly sewn by our seamstresses, can add a great design element to any room in your Miami home. Check out our impressive list of commercial clients and our beautiful portfolio! Our experienced team can tackle the most difficult of window treatment issues. Brown Design just completed an installation for the new Hugo Boss showroom in the recently constructed wing at Dadeland Mall in Miami. 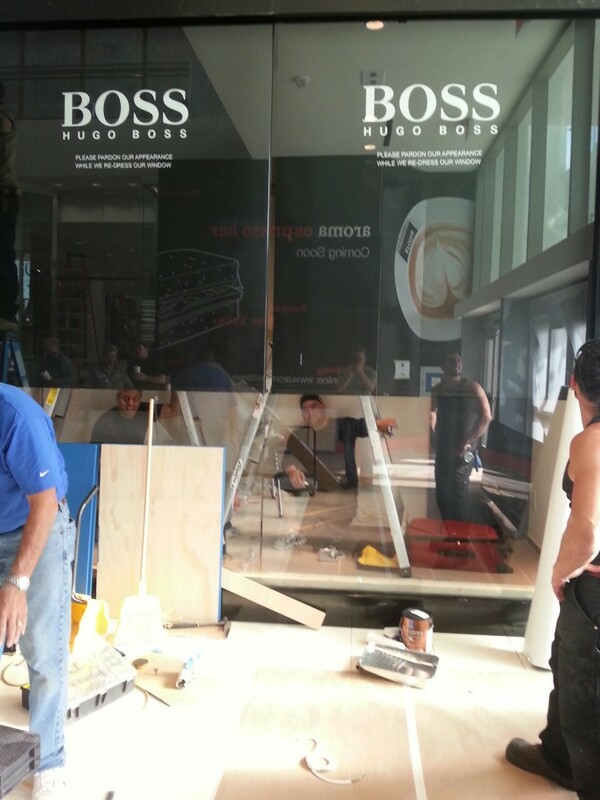 Custom vinyl lettering, which included the Hugo Boss logo, was attached to the black vinyl roller shade for display in the front window. Using a Somfy motor, the shades were motorized for easy operation using a radio frequency wall switch installed discretely on the wall. We look forward to installing a similar motorized shade system in the showroom window of their sister store that is also in Dadeland Mall Miami. Brown Design is proud to serve our commercial clients, as well as continuing our service to the residents of Downtown Miami, Sunny Isles, Aventura and the surrounding South Florida areas! We also specialize in custom curtains and Roman shades, offering countless fabric choices to suit your window treatment needs! 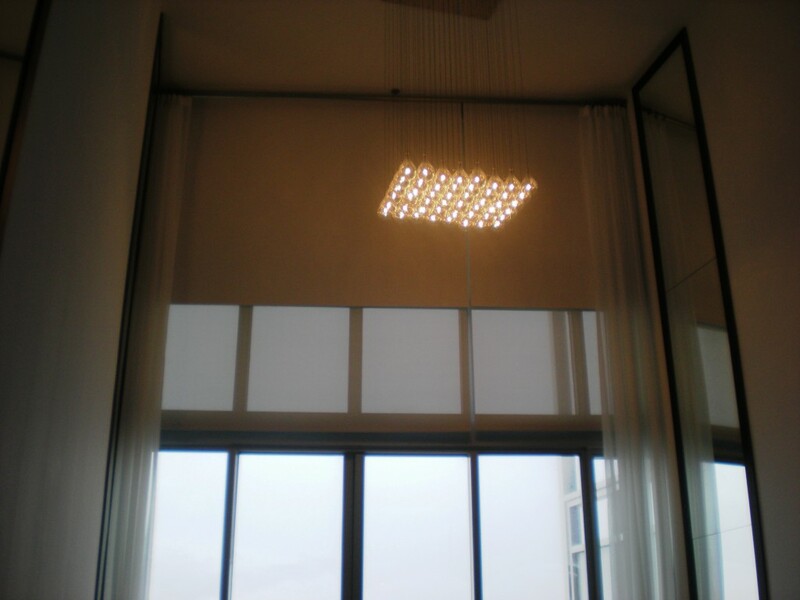 For this large project, we installed Somfy Glydea motorized drapery tracks and Somfy Altus motorized blackout shades throughout this unit located on the sands of Miami Beach. Each room is controlled by a wireless wall switch with separate buttons for blackout shades or sheer curtains. 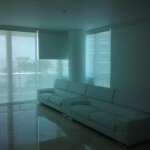 The living room area (shown here) displays an incredible 180 degree view of Miami Beach and the Atlantic Ocean, softly framed by delicate sheers with motorized operation. This townhouse suite is one of the largest and most luxurious in the entire Setai Building, featuring 2 stories, 4 bedrooms and this amazing view from the living area. The condos are filling up in Downtown Miami and the surrounding South Florida areas. Brown Design is staying busy installing blinds and shades in all of the newly owned windows! The great thing about roller shades is that you can roll them up(or push a button if you have motorized shades! ), and they are completely out of the way for you to enjoy the view! 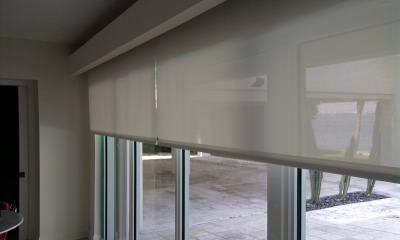 Side channels work great with blackout shades if you are one of those Miami people who like complete darkness without light gaps on the sides of the roller shades. Lots of people in Miami Beach just leave their solar shades down all the time because they stop heat and glare while maintaining the view. Whichever product you are looking for to finish your windows, Brown Design can install them professionally with out 100% guarantee! We are licensed and insured to handle any size project in the South Florida area. As all South Florida residents know, the summer has arrived, and brought it’s harsh temperatures and electricity bills with it! There really is no better time for Miami residents to outfit their windows with our proven heat killing shades. Solar shades have emerged as our best seller because of their ability to cut glare and heat remendously, while still maintaining that South Beach view! Design wise the look is clean and minimal, but the practical benefits can save you money by making your air conditioner work less. Brown Design also offers many types of blackout shades to keep the light out altogether! Nestle down in a Coral Gables bedroom that gets transformed into a dark cave with the touch of a button with our blackout motorized shades by Somfy. If you prefer curtains or Roman shades we can help you out as well. As always, with great pricing and service! 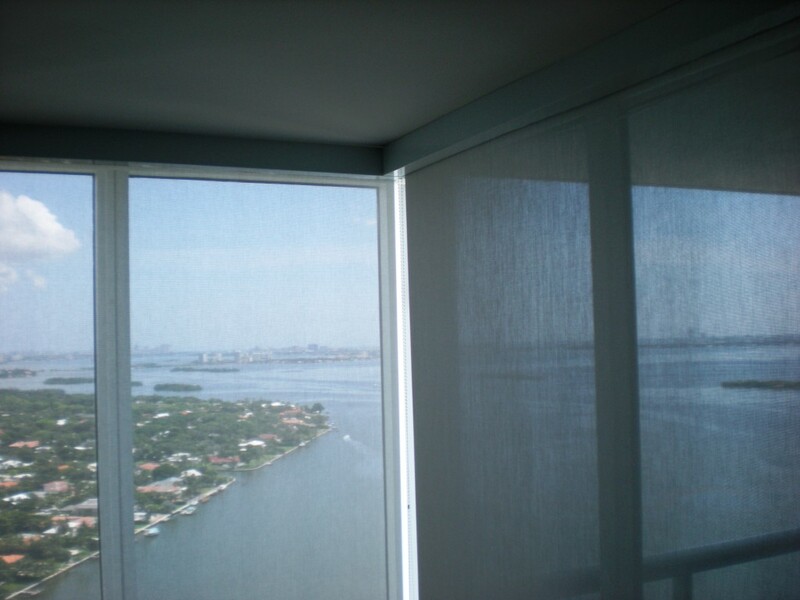 100% guaranteed installations from Brickell to Sunny Isles, our shades are found all over Miami in residences and businesses alike!